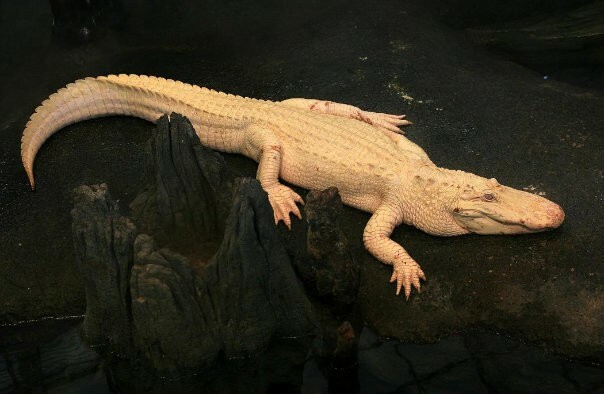 White alligators are extremely rare. The unusual coloration is a characteristic of a condition called leucism. This one was discovered in 1987 by the Louisiana Land and Exploration Company.